The neatest blog invention of the week: a persistent blog entry that stays right on top of your blog. All the data I can see makes it clear that most blogs don’t just have a loyal RSS following. People show up in the middle. They miss a month or a year and then they come back. And since this is the web, they’re impatient. Impatient people don’t sit still and grok the whole page, check out the archives and figure out what’s up. They read a sentence or two and then leave. So, working with my friend Red at Silkblogs.com, we built just such a feature. 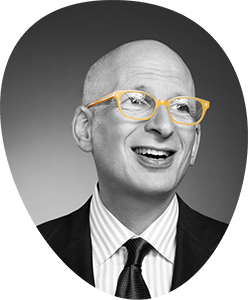 Seth Godin – Liar’s Blog. My plan is to change this peristent blog entry over time, adding, for example, a link to the top 10 posts–once I have more than ten. If you like it, let the folks at Typepad know. Maybe they’ll add it.